U happily coincided with Christmas. 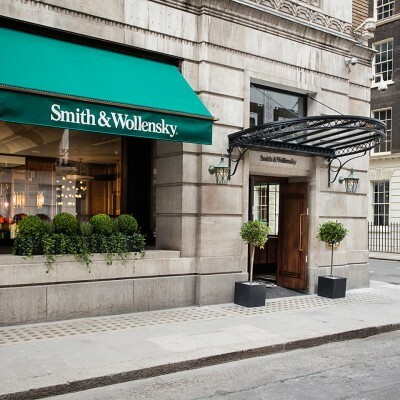 A festive gathering of piehunters happily made arrangements to visit a New York steakhouse – Smith & Wollensky just off the Strand. Service was disappointingly slow, but we enjoyed the buzz and atmosphere downstairs. The wine and food were top quality. Prices were not for the fainthearted. Starters included seared chilli & garlic shrimp and hand-dived Scottish scallops with garlic & parsley butter. 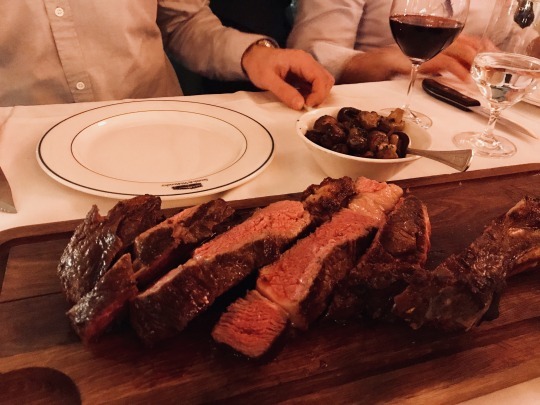 Steaks were USDA Prime, dry-aged and butchered on-site. Apparently, S&W is the only steakhouse in London which offers a cut of meat that combines all three. This monster (below) was the 1kg Tomahawk. Desserts included an excellent New York cheesecake and key lime pie.